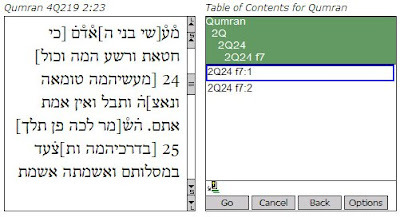 This post is to report that Olive Tree recently released a Qumran module using the database compiled by Marty Abegg. 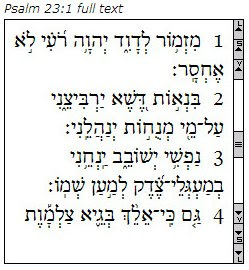 (It does not include biblical texts found at Qumran.) The texts are morphologically analyzed, so if you also have the BDB module, tapping on a word will bring up a glossary entry. 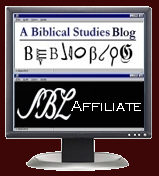 Drayton Benner has more information on the Olive Tree blog. Olive Tree also has recently updated their BHS module to employ Unicode fonts. The display is indeed beautiful.